Whether you’ve recently upgraded to Windows 10 or you’re thinking about it, a good question to ask is, “Do I need antivirus software?”. Well, technically, no. Microsoft has Windows Defender, a legitimate antivirus protection plan already built into Windows 10. However, not all antivirus software are the same. Windows 10 users should examine recent comparison studies that show where Defender lacks effectiveness before settling for Microsoft’s default antivirus option. 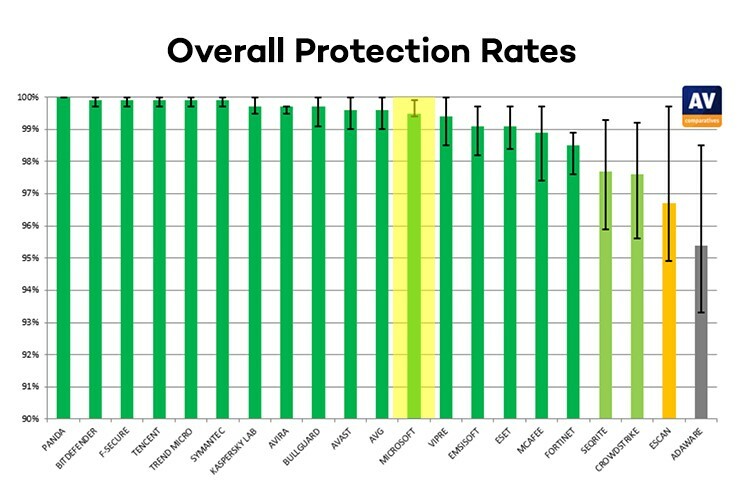 An AV Comparatives 2017 study shows Windows Defender falls behind other antivirus software in protection, usability, and performance. 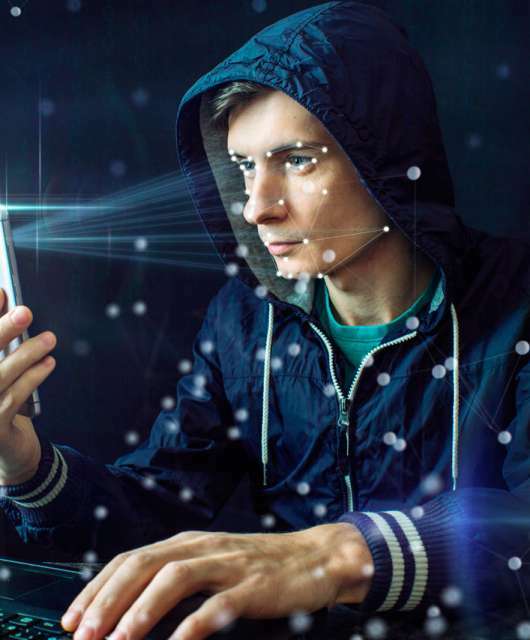 Defender also lacks consumer-friendly features that are growing in popularity — like password managers and a built-in virtual private network (VPN). Any antivirus software needs a good protection rating. Detecting and eliminating malware threats is the primary consideration. Be aware of future trends in malware attacks and choose antivirus software based on its ability to defend against growing threats such as zero-day attacks and ransomware. The AV Comparatives study tested 17 major antivirus software brands and ran from July to November 2017. Defender received an overall protection rating of 99.5%, falling behind seven other cybersecurity software. Another 2017 study by the IT-Security Institute showed Defender falling behind other antivirus software in preventing zero-day malware attacks. Zero-day attacks happen the same day developers discover a security vulnerability, and they’re growing in popularity among cybercriminals. The IT-Security Institute’s test results (for July and August) showed Defender as only 97.0% effective against zero-day malware attacks, 2.5% below the industry average. 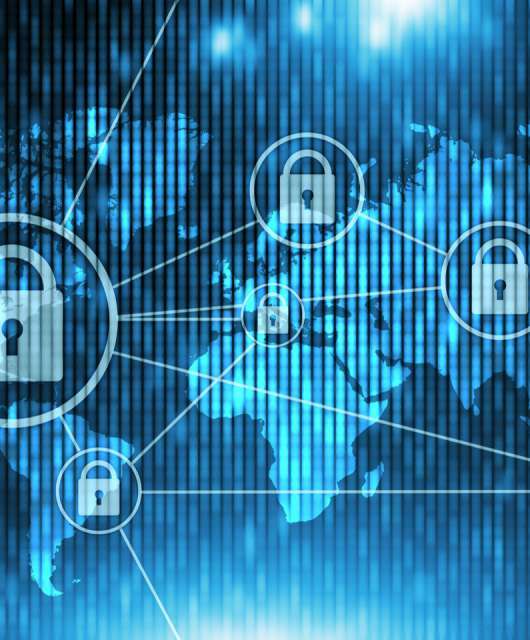 The difference may seem small, but the stakes are high for zero-day attacks. It only takes one ransomware or botnet attack to hijack your computer or steal your identity. All antivirus software impacts how you use your computer because it scans all of the websites, files, and other software your system interacts with. With antivirus software, consumers want the most protection with the least interference. Compared to other antivirus products, Defender struggles to stay out of your way. When antivirus software scans files and websites for potential threats, they can mistakenly flag some as dangerous. These “false positives” can get really annoying because they block access to safe websites or stop the installation of legitimate software. These issues can slow you down and are distracting. The AV Comparatives study (below) found Defender had a higher false positive rate compared to the majority of major antivirus software packages. 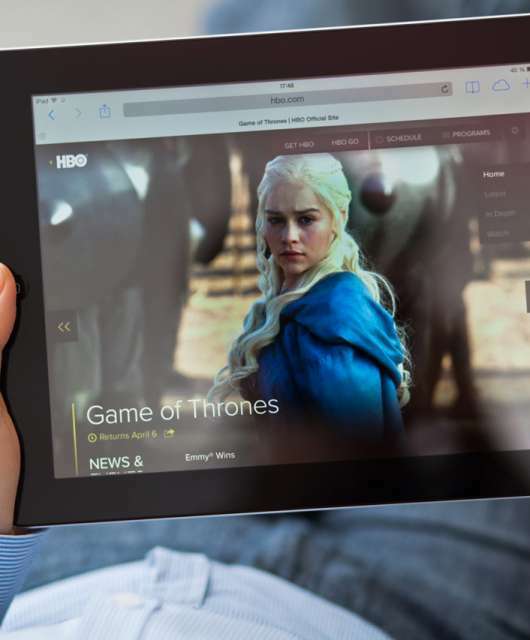 Defender struggles particularly with flagging legitimate software as malware. The IT-Security Institute’s tests showed Defender having a higher than average rate of false detections for safe software. Users who want to get around this issue by lowering Defender’s protection settings become more vulnerable to real malware attacks. All antivirus software slows down your computer at least a little. After all, it takes computing power to scan all of the bits of information running through your computer’s processor, but a bulky or inefficient antivirus package can mean slower website loads, crawling status bars, and sluggish software launches. 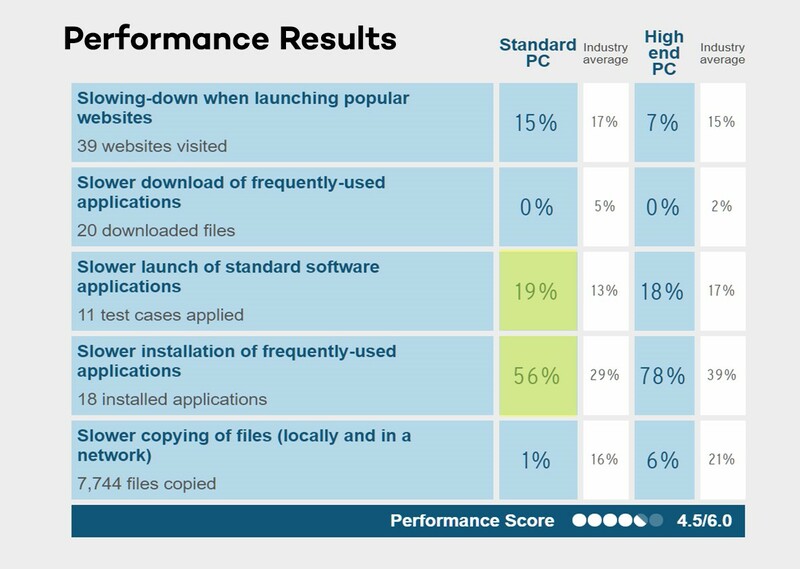 The IT-Security Institute’s test results (above) showed Defender scoring below industry average for standard software application launches and frequently used applications. Its performance score was 4.5 out of 6.0. Defender will make your favorite programs run slower when you use your computer at home. If you own a business, your employees will be slowed down too. Overly burdensome antivirus software coupled with outdated computers means a loss of worker productivity and revenue. Fans of Defender point out that it comes standard with Windows 10, which means no extra software to download and install onto your computer. Pre-installed standard software is convenient from a usability perspective, but it also leaves you more vulnerable to attack. Cyberthieves make Defender a priority one target because it works the same for every computer. Any standard way to doing anything makes it easier to predict and circumvent. Defender is no exception. Hackers make sure they’re malware designs can avoid Defender’s basic detection and take advantage of its vulnerabilities. Less standard antivirus software take unique approaches to finding and eliminating viruses—approaches difficult to predict. To protect yourself, your family, and your devices, you need the best free antivirus protection available. While some users may still see Defender as a viable option based upon their specific needs, they’re trading convenience for effectiveness — a luxury with personal and financial costs that increase every year. I use Windows 10 on my desktop with windows defender. The most important is how you behave on the internet and what you trust or not. Nihto tak tak ni greet!? Thanks for your feedback, Tomas! As we mention in the post Windows Defender is a fair protection, but it’s still behind the antivirus software companies. Thanks for an honest article – I think that for an average user there is currently no need to invest in antivirus software. I do however use one (yours;) in my office and simply can’t imagine working without it – even though I’m not really exposed on some bigger risk than usual, it calms my conscious (which is more than good enough reason for me). We are very happy to know you find our content useful and that you have chosen us to protect your devices. Thanks once again for reading us! Adding additional security software seems to screw up Defender. How can I install another virus protection package without affecting Defender and my computer performance in general? We are sorry our news bothered you and will work to improve this. there is no “general” under setting on my Windows 10 laptop. And does Panda Dome conflict with Windows 10 security or do they sort each other out? Like, do I have 2 firewalls with both on computer for example? You need to do it in Panda Security’s menu in order to sto the pop ups. En el contexto de WIn10 como usuario puedes decidir que firewall usar, por defecto cuando se instala el Dome, se instala y usa el FW de Panda Dome. I want to know about the latest version of dvd player for windows 10. Not anymore. See the latest AV rating. And for VPN and password managers,there is a lot of free alternatives. I had used multiple antiviruses and almost all of them will have some performance hit but windows defender is different mostly because it’s well integrted with the OS, it’s not something third party antivirus can achieve. As an example, at Panda we protect millions of users without any complaints on their part, whether due to infections or excessive consumption of resources. In addition, our detection rates are very good and we don’t say it ourselves but independent laboratories such as av-comparatives https://chart.av-comparatives.org/chart1.php. Regarding value-added protection, Panda adds protection against, for example, ransomware through our behavioral protection. In addition, Panda offers multi-platform protection, not only on some Windows operating systems. This article takes the information from an independent malware lab: AV-Comparatives so not only is an independent source, but also a third party not involved with any antivirus company. Except that you have used outdated statistics. Antivirus software tests done in mid 2018 show completely different picture. Defender is much faster than competitors and offers almost identical security. 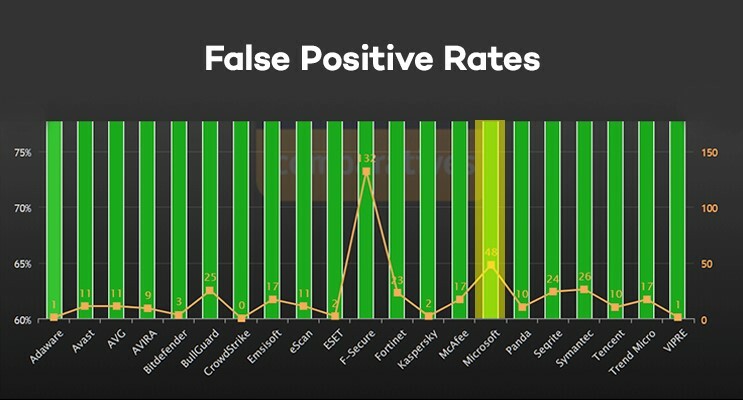 You can check the latest results https://www.av-comparatives.org/tests/real-world-protection-test-october-2018-factsheet/ and see how Microsoft has 100% protection detection but 20 False Positives, whereas Panda Security has obtained 100% detection and 8 False Positives. I ran a real life test by downloading then decompressing a pirated version of Winrar. Webroot immediately eleted the patch, no alert from Windows Defender. Then I turned off Webroot and repeated the decompression, installed the program then applied the patch. Windows did nothing, alerted me of nothing. Then I uninstalled Winrar because free 7zip does exactly the same thing as Winrar. I don’t work for Webroot, but it is cloud/internet based with only about 2mb installed on the c drive. I swear by it now and it’s highly rated except on this site where it does not appear for some reason. I’ve used free AVG, AVAST and Avira, but they all nag at you to upgrade to a paid version. 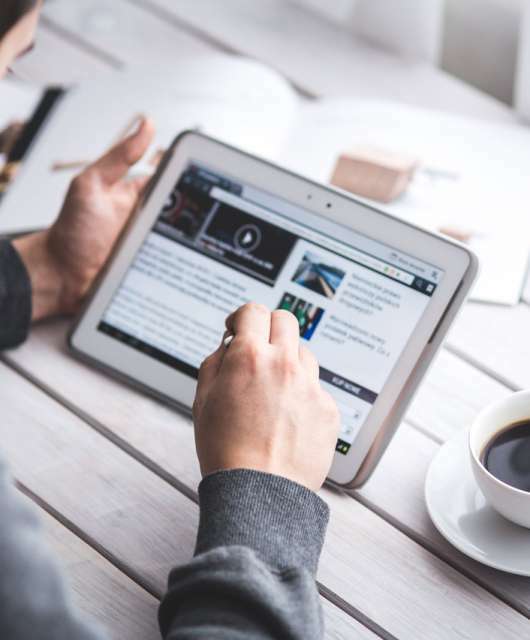 The comparatives we show on this article are taken from an independent third party: Av-Comparatives Panda Free Antivirus does offer some special promotions in order to upgrade to a more protected paid product, but this notifications can be disabled from settings. 10: Do I need to install an antivirus software?, yet I never found any interesting article like yours. I can’t install Panda free! When it’s almost downloaded at finishing, a notice says it failed ?/ What is the problem? I just got the bill for Norton antivirus It is gone up to $95 a year. I have windows 7. Does it have some antivirus? Could I do without this Norton? I don’t really go to any sleazy websites or anything.